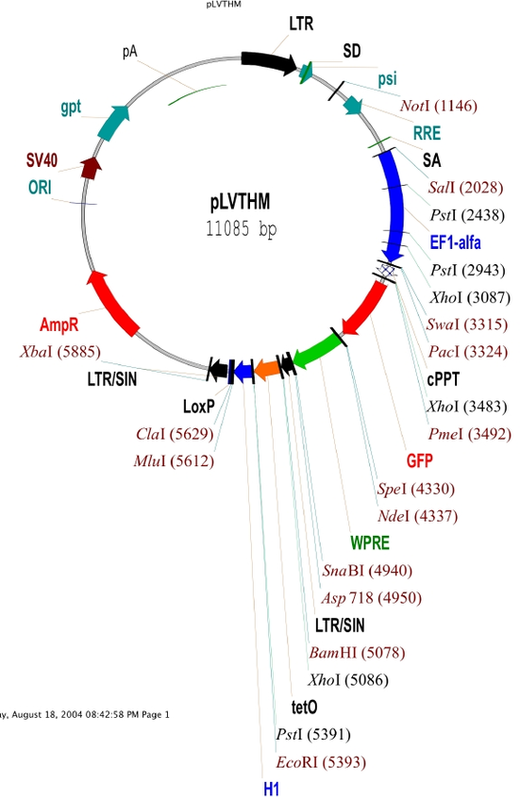 pLVTHM allows for direct cloning of shRNAs into the lentiviral vectors and replaces the old pLVTH system from Trono lab. pLVTHM is similar to pLVTH, but contains a 3bp substitution that generates a unique MluI site for direct cloning of an shRNA into MluI-ClaI. Please note that there is an additional ClaI site in this vector that is blocked by Dam methylation (this site does not appear in the depositor's full sequence). 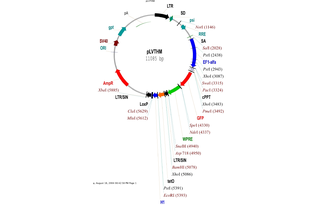 The plasmid needs to be grown in a dam(-) bacterial strain in order to use ClaI for cloning. Note that ClaI has lower salt concentration requirements than MluI. One way to handle this is to digest with ClaI for 45 minutes, followed by addition of diluted MluI buffer and MluI, then incubation for 90 more minutes. Be sure not to use a large amount of vector (1.7 ug to 2.5 ug is known to work). Also, if your shRNA is already in pSUPER (or another plasmid under the control of the PolIII promoter) you may use the EcoRI-ClaI sites to replace the H1 promoter in pLVTHM with the H1-shRNA cassette from pSUPER (or another plasmid). 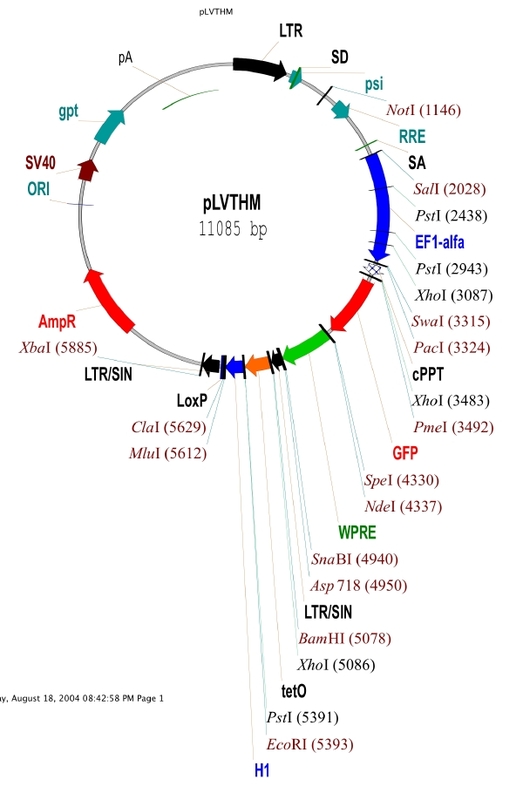 Please note that the full sequence for this plasmid is approximated and not fully verified. Please visit the Trono lab http://tronolab.epfl.ch for cloning strategies, protocols, publications, and more. See LentiWeb http://www.lentiweb.com for discussions on cloning strategies and protocols.